This clear yet delightfully quick-paced introduction to cognitive neuroscience for the voice studio nimbly weaves together discoveries in neuroscience with the experience of vocal artistry to show how singing can be viewed as a perception-action cycle. From the outset, practical-application exercises demystify how the conscious mind integrates with unconscious sensory and motor processes to unleash our body’s intelligence to produce optimal and even peak performance in the expressive and artistic endeavor we know as singing. Through this further expansion of voice science and pedagogy into the field of cognitive neuroscience, singers learn to take charge, to mindfully integrate their audio-motor intentions with expert motor response. The teacher becomes equipped to better understand optimal flow of information, where disruption may occur, and how to guide the student in setting the right goal for the task of the moment — to get the thinking right. Karen Leigh-Post is on the voice faculty at the Lawrence University Conservatory of Music in Wisconsin. 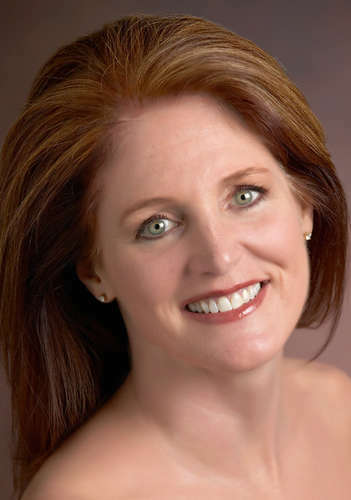 Internationally recognized as a presenter and author, Dr. Leigh-Post's ground-breaking volume, Mind-Body Awareness for Singers: Unleashing Optimal Performance (Plural Publishing, 2014), is “highly recommended to scientists and singers” and is proclaimed to be a “significant contribution to the field — a must read for every singer and teacher of singing”. Her extensive study of the interaction of mind and body carries forward the work of her mentor, Shirlee Emmons and includes first-hand work with innovators in the fields of singing-acting, movement, and performance psychology. Dr. Leigh-Post’s research presentations at the National Association of Teachers of Singing National Conference (2010) and the International Congress of Voice Teachers in Australia (2013) have been described as “charming, amusing, but dispensing valuable information every second” (Shirlee Emmons), and “whimsical, intelligent, practical and brilliantly communicated” (Pat Wilson).